Grilled shrimp drenched in our special grand marnier sauce w/ a side of rice & garnished w/ avocado & orange. House-cut 9 oz. Ribeye steak w/ freshly smashed potatoes, topped off w/ bacon sauce & accompanied w/ rice. 9 oz arrachera steak & chicken enchilada smothered w/ tomatillo sauce & topped w/ shredded cheese. 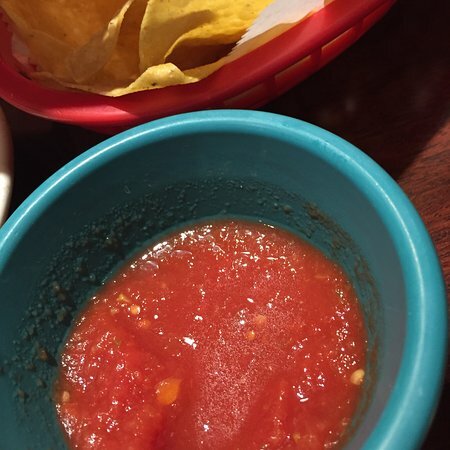 A jalapeno toreado garnished w/ diced onions is included & finished w/ a side of beans. 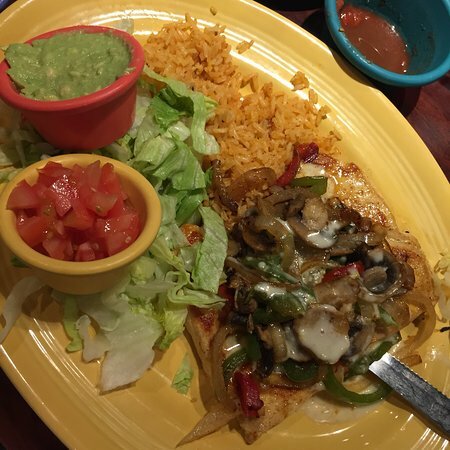 A large flour tortilla w/ beans, cheese, & your choice of our delicious chorizo, chicken, rib-eye, or shrimp grilled w/ bell pepper & onions. Served w/ guacamole salad & sour cream. 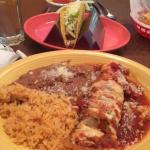 A flour tortilla stuffed w/ beans, cheese & your choice of our shredded chicken, beef stew or mushrooms. Served w/ guacamole salad & sour cream. Three hard or soft shell tacos filled w/ beef or chicken, shredded cheese, lettuce, tomatoes & sour cream. Three deep fried corn tortillas rolled up & stuffed w/ shredded beef or chicken. Served w/ guacamole salad, sour cream & rice or beans. Chicken sautéed in a brown poblano sauce. Served w/ rice, guacamole salad & tortillas. Tender fried pork tips served w/ lettuce, tomatoes, avocado slices, tortillas & rice or beans. Two poblano peppers stuffed w/ cheese, ground beef or chicken, dipped in egg batter & deep fried. Served w/ rice & guacamole salad. Flour tortilla rolled up & stuffed w/ chunks of beef, chicken or pork, deep-fried & covered w/ hot melted cheese. 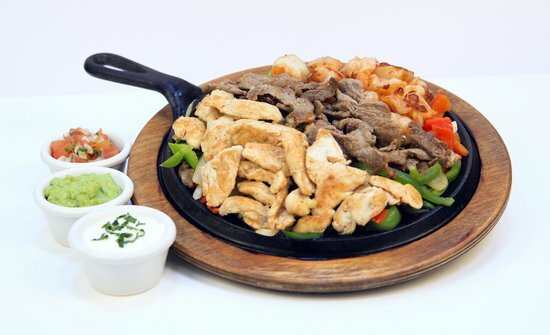 Served w/ guacamole salad & your choice of rice or beans. Beef or‏ chicken chunks w/ las palmas red chile sauce. Served w/ rice, beans & tortillas. A burrito stuffed w/ beans & chorizo, topped w/ hot, melted cheese. Served w/ rice & guacamole salad. Flour tortilla taco, stuffed w/ beans, beef chunks, chile colorado sauce, lettuce, tomatoes, sour cream & avocado slices. Two eggs,‏ over-easy, topped w/ Mexican salsa. served w/ rice, beans & tortillas. 4 Bean Burrito Covered w/ Hot Melted Cheese & Mushrooms. Green spinach‏ tortilla stuffed w/ spinach & beans. Topped w/ hot melted cheese. Served w/ rice. We ducked in for supper one night and were very surprised at the quality and the cost of the food. Seemed to be quite busy but we were served quickly and our dishes were well done. Traditional Mexican food in a traditional atmosphere. 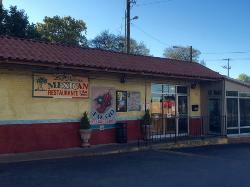 Seated quickly, food was very good, service was quick and friendly. Convenient location to hotels. Restaurant was very clean and up to date. Has lunch here. 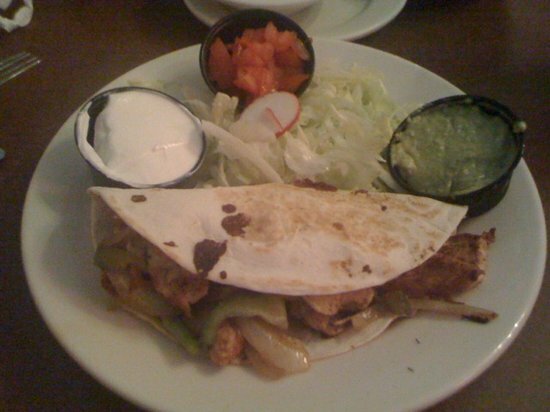 Fajitas steak and shrimp was good, taco and enchilada combo was also good. Pricing is very reasonable for what you get. Service was a little spotty. Some of the staff is better trained than others. 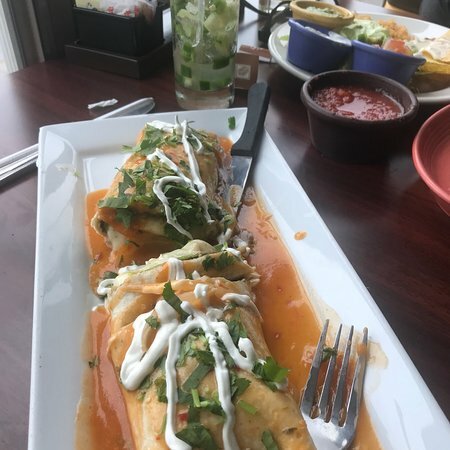 We stopped by today to order lunch and enjoyed the best soft tacos we have ever had. Brisket, chicken, and carnitas! Don’t forget the street corn and chips and a Dos Equis. Thank you for stopping by! 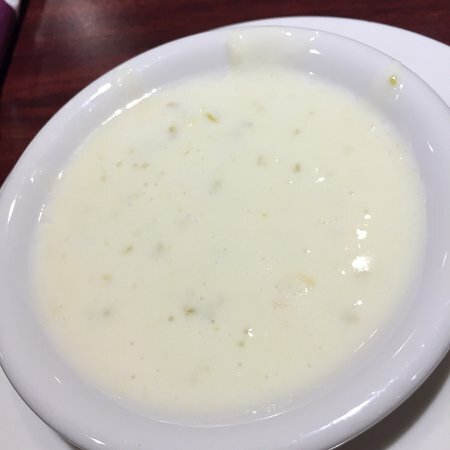 We look forward to serving you again soon. 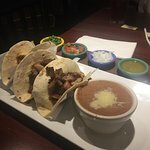 Texans are picky about Tex mex food when traveling out of state due to regional differences in tastes and preparations. This restaurant was a great find and surprise. Food was delicious and plentiful. The service was exceptional!